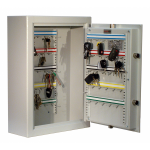 Struggling to fit all of your key sets into a standard key cabinet? 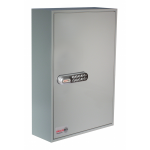 Well, sometimes a standard key cabinet just isn't enough, so when you need to store larger bunches of keys, the extra deep key cabinet is the perfect solution. 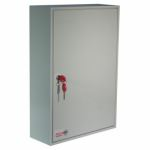 Our extra deep cabinets can store between 30 and 200 bunches of keys. 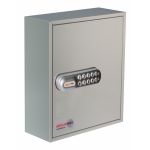 Not only do they provide a place to store your keys, they also provide extra security, with either electronic or key locking. 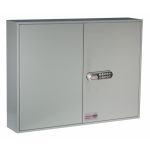 These extra deep key cabinets have been made of steel with a flush closing rim to resist forced entry. 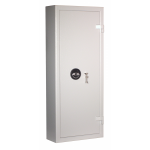 Built to resist even the strongest blows (highly recommended you do not test this at home, the clever bods have done this in a lab for you!) 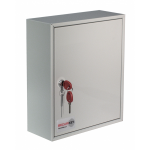 If you don't require something as deep as an extra deep key cabinet, why not check out our other ranges of cabinets available today!